Pour 1-2 cl. (½ oz) of dry vermouth into a mixing glass with lots of ice, stir for a few seconds and discard the vermouth. Add 7-8 cl. (2½-3 oz) of VONES Gin and stir for 10 seconds. 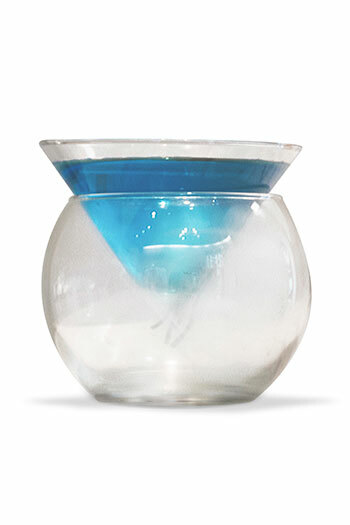 Strain into a previously chilled cocktail glass. Immediately twist a thin strip of lemon peel over the cocktail to release its citrus oils (this can be discarded or left as garnish). Finally, drop in an olive that has been rinsed off beforehand. 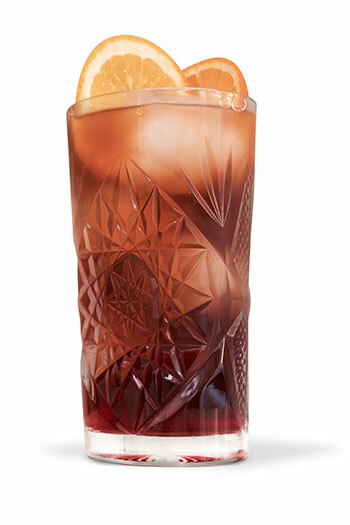 Pour equal parts of VONES Gin, Campari and red vermouth into an old-fashioned glass filled with ice. Stir and garnish with a slice and a twist of lemon. To cut down on the bitterness, use orange instead of lemon as a garnish or add a dash of simple syrup. Mix 5-6 cl. 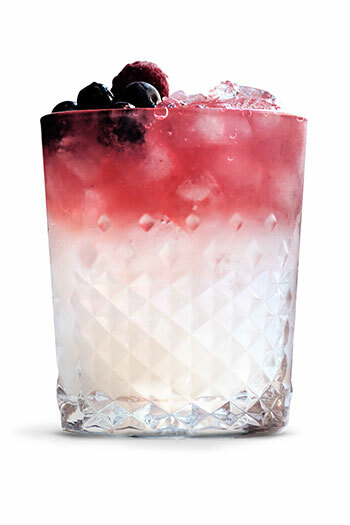 (1½-2 oz) of VONES Gin, 2 tablespoons of sugar, juice of 1½ lemons and a shot of egg white or milk in a shaker with ice. 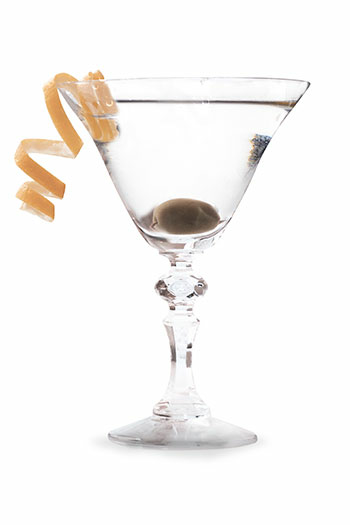 Shake until the shaker feels cold and strain into a previously chilled martini glass (15 cl. / 5 oz) or highball glass (15 cl. / 5 oz). Top the drink off with soda water. Garnish with a twist of lemon or lime. Pour 6-7 cl. (2-2½ oz) of VONES Gin, a shot of fresh lemon juice and 2 shots of simple syrup into an old-fashioned glass filled with crushed ice. Stir and top up with more crushed ice. Top the drink off with 2 cl. (½ oz) of blackberry liqueur (crème de mûre).ompletar la mezcla con 2 cl. de licor de mora. 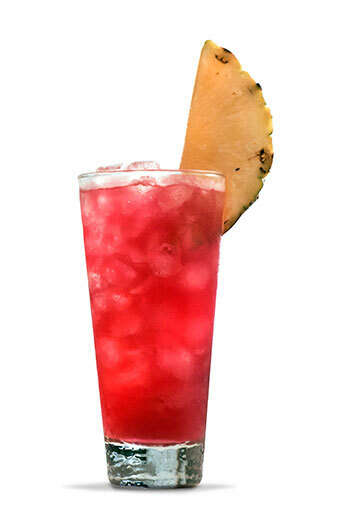 In a mixing glass with plenty of ice, combine 6-7 cl. 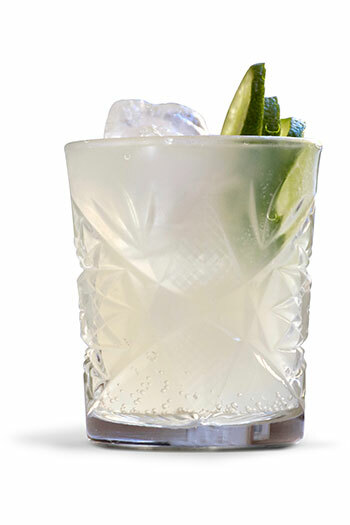 (2-2½ oz) of VONES Gin, a shot of fresh lemon juice and another of simple syrup. Stir for a few seconds and strain into a collins glass filled with ice. Top it off with soda water and garnish with a slice of lime. In a mixing glass with lots of ice, combine 3 cl. 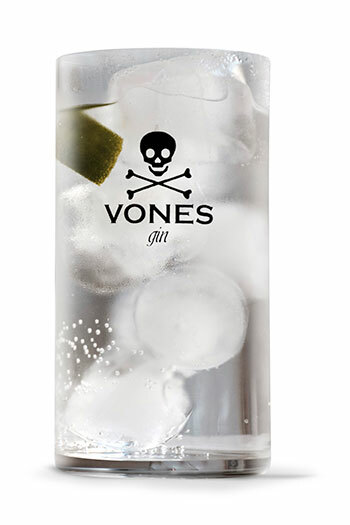 (1 oz) of VONES Gin, 1.5 cl. (½ oz) of cherry liqueur, 0.75 cl. (¼ oz) of triple sec, 12 cl. (4 oz) of pineapple juice, 1.5 cl. (½ oz) of lemon juice, 1 cl. (½ oz) of grenadine and a few drops of bitters. Then shake vigorously and strain into a highball glass with crushed ice. Pour 5 cl. (1½ oz) of VONES Gin, 2 cl. (¾ oz) of white vermouth, juice of half a lime and 1 cl. (½ oz) of blue curaçao into a shaker. 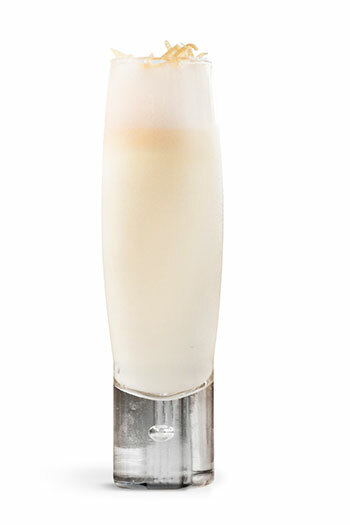 Shake vigorously and serve in a chilled martini glass (15 cl. / 5 oz). Top the cocktail off with sparkling wine. 5-6 cl. (1½-2 oz) of VONES Gin to 16-20 cl. (5½-6¾ oz) of tonic.